This is the 13th game test in our series: The Logitech G27 Racing Wheel for Casual Racing Gamers. 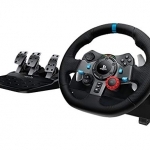 Here, I will show you how to set up your G27 racing wheel to play Colin McRae’s DiRT 2. 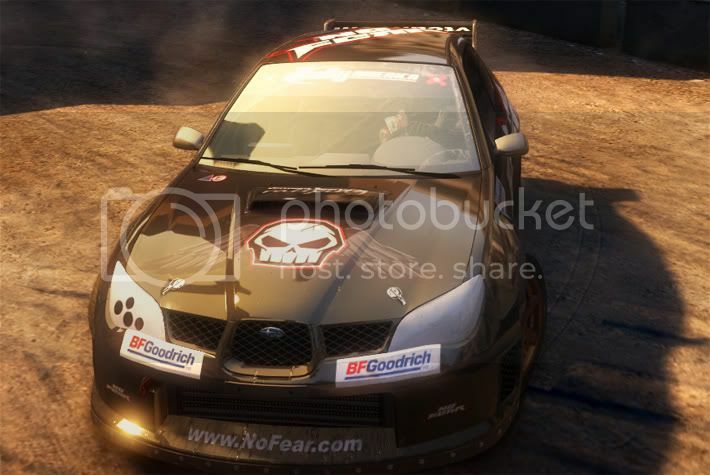 DiRT 2 was developed and published by Codemasters, and follows the Race Driver series’ look and feel. Racing is rally cross style and takes place on a track. To make sure you enjoy your DiRT 2 experience, first make sure your game is patched to version 1.1. If you have the Steam version, this is already done. Next you should know that, unlike every other game that support the G27, you cannot use the ‘Specific Game Settings’ section of the Logitech Profiler. It simply has no effect. Therefore, you must set your ‘Degrees of Rotation’ in ‘Global Device Settings’ instead. Also, make sure that your pedals are not combined. Hi, great articles here on the G27! I have used this wheel since early 2010 and love it. However, I’ve never been truly happy with the controls I’ve set up on it, as they were confusing to figure out, and there was no one online (that I could find) who had theirs set in a way that I liked, though I tried many different profiles. I bought my wife a Driving Force GT this week for her b-day, and while researching settings for it, I found your articles. 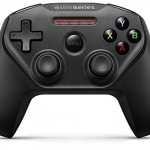 My main question is Steam implementation. If I set up the game profile in the Logitech app, when I load the game through Steam, will it load the correct Profile for it in the Logitech app? Let’s use DIRT 2 as an example. I have it on Steam, and I set up a profile for it in the Logitech software. Now when I load it through Steam is it going to load the profile correctly? I also don’t use 900 degree rotation. I tend to set it between 250-300. Hi James. Your profile will work either way (Steam or not). The Logitech Profiler is tied to Windows. It applies your settings to the wheel when it detects the .exe file running. When creating profiles, you just need to assign the correct .exe file. 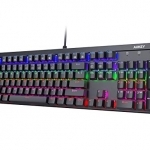 Followed the instructions and it’s still not listing G27 in the preset menu, only keyboard. I noticed that the Logitech profiler lists my G27 (under the select a device drop-down) as “G27 Racing Wheel USB on ID1) Is this normal? I thought maybe dirt 2 is not recognizing it because of the “on ID1” part. Does your profiler list it the same way? John, ID1 is correct. If you launched dirt2.exe through the Profiler and your options only have keyboard available, then your problem definitely doesn’t lie in my settings. Here are some qualifying questions to ask yourself- Do you have any other peripherals plugged in? Is your game patched? Does your wheel work in other racing games? Thanks for the reply! Any help is much appreciated. I have an inkling why its not working. I’m using a Japanese copy of windows 7 (I live in Japan). When I plug in the wheel it auto installs the drivers but these drivers are titled “Logicool Racing Wheel G27”. 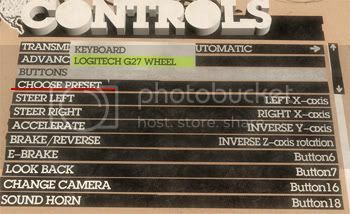 Similarly if I click Device>Game controllers in the Profler the wheel shows up as Logicool. Am I right in thinking that your shows as Logitech? Logicool is the Brand name Logitech use in Japan. I have a feeling this stupid difference in drivers is causing the problem. I can find no way to install the drivers manually, the wheel is only detected by the profiler if the drivers are already installed and the American drivers are not available online (only the profiler >.<). That would explain everything. I don’t have an easy answer. Can you install US drivers? If not, have you tried changing your Locale to US before installing them? Also, there is a program called AppLocale (Google it) that allows you to run individual programs as a certain region, which might let you do it. The problem is somwere there. To worked neither but i discovered 2 main reason . 1 Wenn you install the driver for wheel must be connected. I don’t have the ingame preset for the G27. I’ve been messing around with the actionmap files inside the Dirt 2 folder and I can’t seem to get it to work. The actionmap for my G27 is there and everything but its not showing up ingame. Do you know of a fix? Brett, do you mean it doesn’t show up in the options and you can only select keyboard? Well (and this is for any game), the wheel has to be hooked up before you launch the game or it wont show up. Make sure you have both USB and the power cord plugged in. Make sure no other controllers are plugged in. Test it under Windows in the control panel to make sure wheel is working right. A good ‘ole reboot never hurts. Thanks for responding, but I already tried all of your suggestions :(. Other driving games such as Live for Speed recognizes it as the G27 Wheel…I think its just something to do with Dirt 2. I would like to mention that I JUST REFORMATTED. This is very unfortunate. Man sorry to hear that. I guess you are not alone, though. A Google search showed this happening to quite a few others also, including someone who says its not showing up after reinstalling Windows. Check out this thread. They talk about plugging in the wheel before installing Logitech drivers might cause the issue because Windows adds some incorrect Registry keys. Talking about G25, but close enough. Also try deleting the wheel under Device Manager and refreshing it. I tried g27 with dirt 2 and got scared! Man, it makes so much noise! Can it damage the wheel???? LOL! Make sure you haven’t turned up the effects to 150%. Other than that, I don’t think you have to worry. Other things not to worry about- the motors (and casing) can get hot to the touch when you have heavy effects for an extended period. When it does heat up, if you have dust built up in the unit, it may smell funny. How It Set To H-Shifter? ?